ONE of the great advantages of 3D printing is being able to escape the constraints of traditional production processes, and to make things with unique shapes. The powerful computer-aided design programs that are used to run 3D printers help engineers achieve this. Algorithms calculate the most efficient structure required to achieve the lightest weight and yet still handle all the loads and stresses that will be placed upon the object. Often the result is rather like something that nature might come up with—which is hardly surprising as nature has had millions of years of practice in creating highly efficient structures. The latest example of this bionic design trend is the Light Rider, which is claimed to be the world’s first 3D-printed motorcycle. The substantial part of its structure was printed by APWorks, a company based near Munich, using a proprietary material called Scalmalloy, an aluminium-magnesium-scandium alloy that was specially developed for 3D printing by Airbus, a European aerospace group that owns APWorks. The motorcycle is driven by a 6kW electric motor and battery. It reaches a top speed of 80kph and hits 45kph in three seconds. 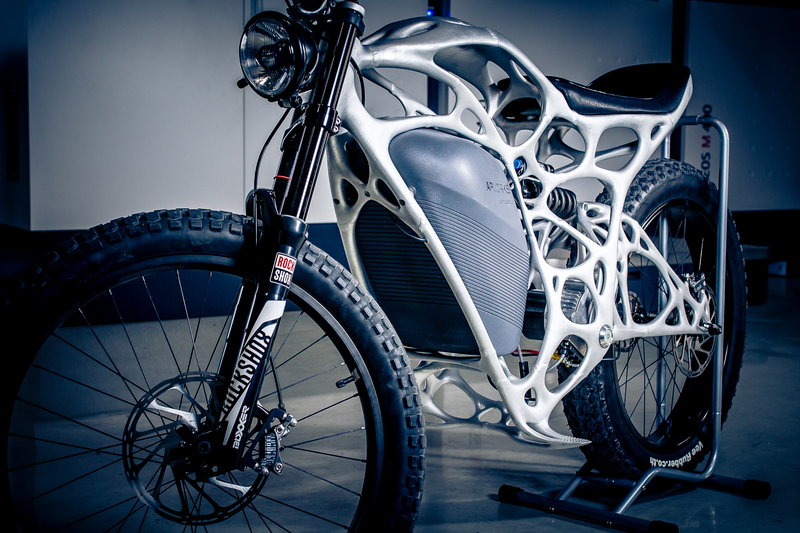 That will not exactly excite serious bikers, but its 3D-printed frame could get their attention. It weighs just 6kg, which makes the Light Rider some 30% lighter than conventionally manufactured electric motorcycles. Then there is the frame’s shape, which looks like an organic exoskeleton. This complex and hollow structure could not have been made with anything other than a 3D printer, says Joachim Zettler, APWorks’ boss. The process involved using a laser to melt together thousands of individual layers of the powdered alloy, each layer only some 60 microns (millionths of a metre) thick. The company is offering a limited production run of just 50 Light Riders. At some €50,000 ($56,000) each, it is not just the bike that is exotic but also the price. 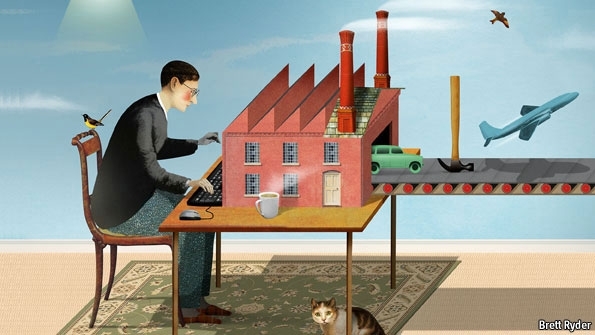 This entry was posted in 3D printing, innovation, Manufacturing, Materials, Motorbikes and tagged 3d printing, CAD, innovation, manufacturing, materials, Motorbikes. Bookmark the permalink.